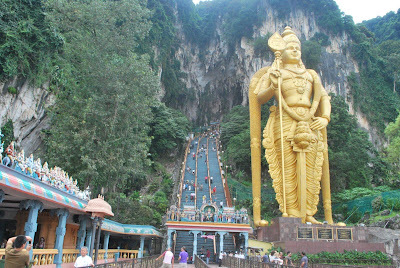 Malaysia is a beautiful holiday destination that offers several opportunities of fun and entertainment for its visitors. Ranging from shopping to sightseeing and from enjoying outdoor sports to enthrall with the outstanding views of its surroundings. Malaysia offers plenty of things that can make your holidays truly memorable in every sense. Tourists always seek to have unique travel experiences in each part of the world and understanding this requirement of them, we have compiled some innovative travel packages to enjoy in Malaysia. While on your tour in Malaysia, you will realize how beautiful this world has so much to offer for its guests for a holidaying experience. Become part of a memorable Malaysia trip and understand the culture of the country while witnessing the splendid landscapes and serene beaches. 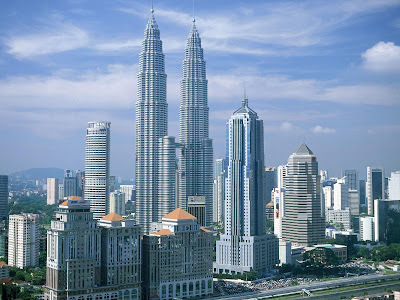 Explore flight tickets fare to reach Malaysia and have wonderful memories with these themed packages that explain your true travel experience in this country. Malaysia is renowned for its natural wonders. You can find several places in this country to enjoy a wonderful holiday in the lap of nature. Cameron Highland is one of them featuring vegetation and strawberry farms that appear a vibrant paradise for holidays. With stimulating waterfalls, lush green forests and refreshing breeze, you will forget about the troubles of your life. Langkawi Island is another beautiful destination that one can choose to enjoy a memorable nature vacation. It is a coastal fishing area, which is home to over 700 species of fishes. Enjoy a relaxing tour in this part of the country. Apart from the natural sceneries, the thing that makes Malaysia tours so special is its rich historical backdrop. Understand the influential culture of the country visiting its rich historical places including its splendid architectures, artifacts and statues. You can visit Batu Caves in Kuala Lumpur, Malacca, Sarawak Cultural Village, and several other places that feature a number of genuine buildings to make the visitors appreciate the architectural grandeur of the country. To witness creativity of Malaysian culture, visit Penang to see the handicraft products being made. Here, you can get your own batik painting and pewter dish. Malaysia is full of places that offer wonderful opportunities for romance. For many honeymooners, it is one of the preferred destinations in the world. Whether visiting Cameron Highlands Hill Station or visiting the vibrant city of Kuala Lumpur, you will get perfect atmosphere that enhance the romantic feel of your life. Gem Island is an awesome place to relax and spend sensuous moments with your spouse. Calm beaches and breathtaking sea views create a pleasant setting for a romantic getaway. Langkawi or the awe-inspiring Mt Kinabalu also allows you to discover the real meaning of romance with your partner. Enjoy floral baths and revitalizing spa sessions to freshen up completely. A creative holiday in Malaysia always bring lots of surprises for you. Add any of these beautiful elements in your vacation and make it truly memorable in every sense. So don’t waste time. Decide where you want to go, and trust me, your Malaysia visit will truly be a memorable experience. Amrita is a writer and blogger with M.A. in Journalism and a graduate in English Literature. She has written for several online sites and magazines and recently found a new passion for writing about travel and tourism. Thanks Cris for stopping by. It is nice to know you have plans of visiting Malacca. I have not been there, so please share your experiences to me and our readers when you get back. Have a safe and enjoyable journey. Top 10 Destinations to Visit in U.K.